The ongoing New York trial of Joaquin "El Chapo" Guzman has so far offered a screenplay-worthy picture of the lawlessness and excesses during his rise to power as Mexico's (and even one of the world’s) most infamous drug lords. Some of the details told during the trial are so shocking that they can easily be turned into a movie. Like the testimony yesterday which showed that even 'El Chapo' Guzman from time to time lost a stash of his beloved product. Juan Carlos Ramirez (55 years old), himself a former Colombian drug lord, testified. According to Ramirez, the captain of a smuggling boat could not keep his hands out of the cargo, started flipping and subsequently sank the ship with 20 tons of coke. The captain had loaded up the stock from Ramirez, one of the leaders of the Norte del Valle cartel in Colombia, some 450 km from the Mexican coast. The stash was meant for the Sinaloa cartel in Mexico (which El Chapo leads). Related coverage: El Chapo - Mexican President Nieto Denies Sinaloa Cartel Bribery. According to Ramirez - aka Chupeta (lollipop) and aka the man who loved plastic surgery to remain unrecognizable - the captain also wanted to test the stuff himself. "He began to see ghosts and the American Coast Guard everywhere, and thus he let the boat sink," Ramirez testified about the captain who he said was as stoned as a shrimp. Ramirez immediately flew to Mexico himself by helicopter, trying to locate the drugs. He was accompanied by El Chapo's best friend, Amado Carrillo. Ramirez explained how he became sad as he realized he only saw sea and no drugs at all. He thought he would never find the cocaine again. Carrillo even deployed divers; after a year of searching they finally were able to recover the cargo of coke. Whatever happened to the coked up captain afterwards is unknown. Ramirez decided after the incident to always send someone from within his inner circle on each boat to watch the drugs. But the cartel leader lost another 40 tons of cocaine afterwards (destined for El Chapo) as the smuggling ship was hit by a hurricane. "The boat disappeared, the crew disappeared, everything was gone," said Ramirez. 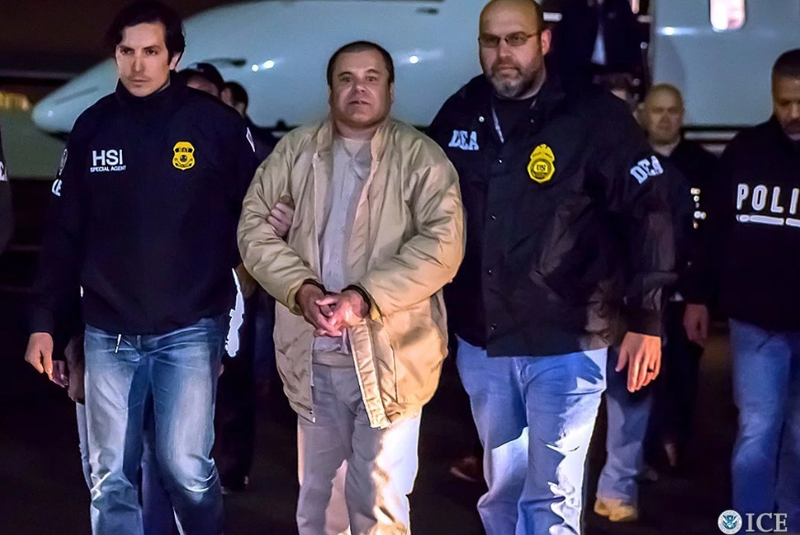 El Chapo promised to pay him back, but was arrested before he could do so. Ramirez himself was arrested in 2007 in Brazil and extradited to the US. He confessed to drug trafficking in 2010 and is currently serving time in an US prison. Hillary and Bill roam free while the men that took the risks, which the Clintons profited from, are in prison.